Regardless of whether you make coffee or tea at home or purchase it out, a travel mug is a useful addition to your pantry. They are a functional item to have for holding all sorts of beverages, hot or cold, when you must be on your way. Travel mugs abound and we've sorted through the horde to find mugs that are functional, beautiful, show off a bit of our personality. Here's a collection of 10 high quality, unique coffee travel mugs that would look great in your cupholder. I tried to make this list full of “cool” and diverse types of mugs. Rating vary depending on whether you are rating design or actual practical use. For some people, aesthetics take a back seat to practicality! But I tried to stick to diverse, fun, and unique for this list. However, to start you off, I want to show you my #1 pick for my own use, just for practical coffee carrying. It's got almost 3,000 reviews on Amazon with a FULL FIVE STARS…almost unheard of as far as I've ever seen in my Amazon shopping lifetime. Just in terms of drinking awesome coffee on the road, this one keep the coffee hot for longer, and stands up to the abuse of life. I read a review where someone used several travel mugs for 3 years and Zojirushi was their #1 pick as well. Did you know these guys also design some crazy cool rice cookers too? Anyway, this mug is very well priced too. If you're looking for “good”, this is the one to get. ==> Get The Zojirushi Travel Mug Here! 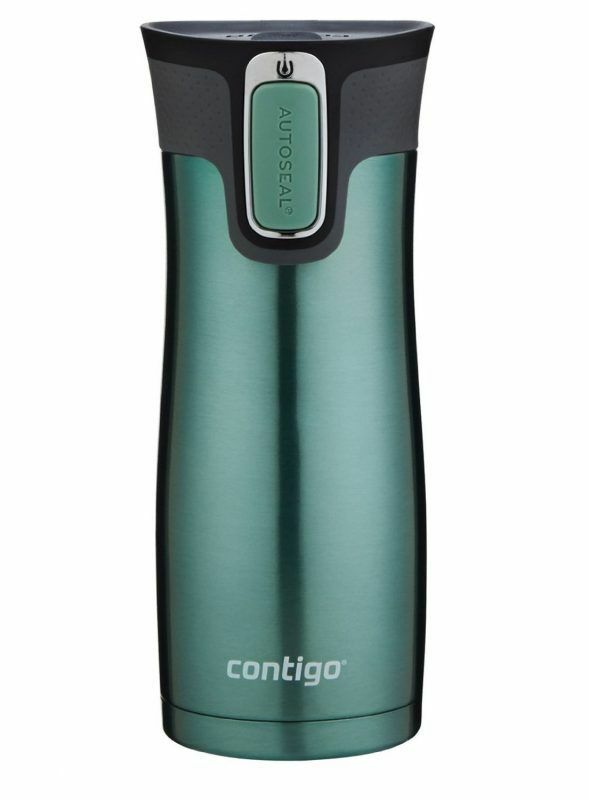 Contigo is known for making the sip-able, leak-proof, vacuum sealed vessel for your commute, but they've just redesigned their original model and added a few features. The Metra mug looks sleeker with a grip sleeve and has a neat protective sipping spot that keeps out germs and dirt all while keeping your drink hot for up to 7 hours. The Metra mug or any of the classic Contigo designs are excellent for those that want drinkable coffee that you can toss in a bag or backseat without worrying it will seep everywhere. It'll also prevent embarrassing spills when you accidentally knock over your drink in a meeting. 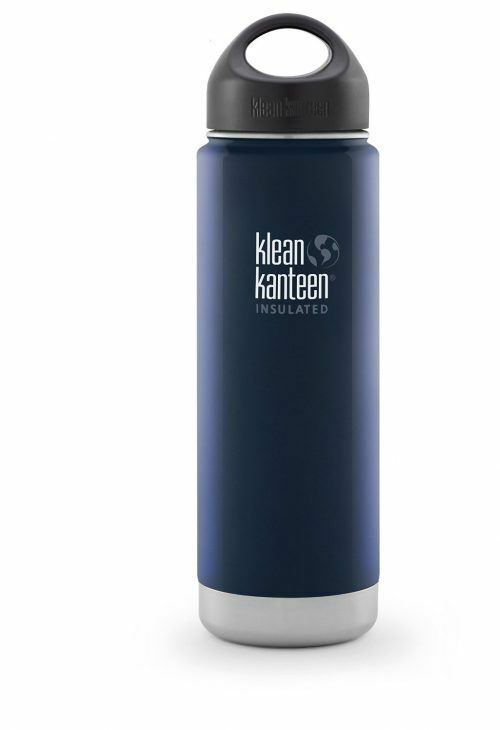 Originally popular as an environmentally conscious water bottle, Kleen Kanteen also offers stainless steel insulated canisters, tumblers, bottles, and travel mugs. The wide mouthed is perhaps the best suited version for morning coffee. It comes in 3 sizes and 19 colors that match up well with sizes in most coffee shops so it's easy for your barista to make your drink just right. You can also make a statement by choosing your favorite of the limited edition designs inspired by art or musicians. The one you see here is the 20 oz “deep sea” color. 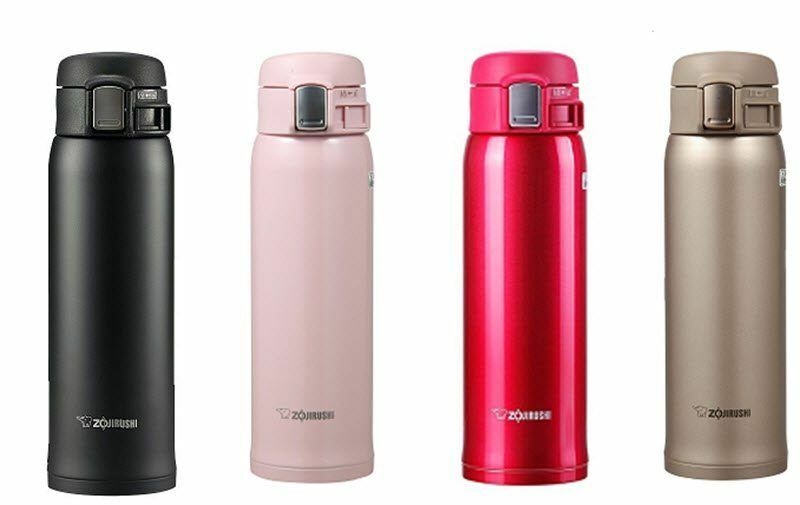 The all-stainless steel double walled design will keep your drink cold for 24 hours and hot for 6, which should cover your workday beverage needs. There are two lid styles, the classic vacuum-sealed lid or the café lid, which is made for sipping. The only downside is that the cafe lid is not leak-proof. Starting with hydration and then expanding to beer, food, and coffee, the Hydro Flask is another great stainless steel alternative to disposable cups. With a textured matte finish for gripping and a flip top lid that is both sip-able and leak-proof, the Hydra Flask is a top choice when it comes to vacuum sealed coffee containers. It also has an alternative lid that has a straw to appease iced coffee drinkers and help you easily get to the last drop. The Hydro Flask is made to fit under most single serve drip brewing devices, so you don't have to waste time brewing in a different cup and then transferring it to your mug. It comes in 13 different colors. The one you see here is “mango”, but there are many more cool variations. If you want to go with classic vacuum-insulated style, go with the Stanley. Sure, it has been around forever as a lunch box staple for the working man, but that's just because it does the job right. The size of these containers are for serious coffee addicts, those that want a quart (or two) on the go. They do offer a 16 ounce sized bottle, if you like the style but have more modest thirst. The army green, dark blue, or stainless finish keeps the color choice simple, and there are versions with or without a carrying handle. It has an additional lid that functions as a little cup so you can sip manageable amounts, while keeping your beverage very hot for extended periods of time. 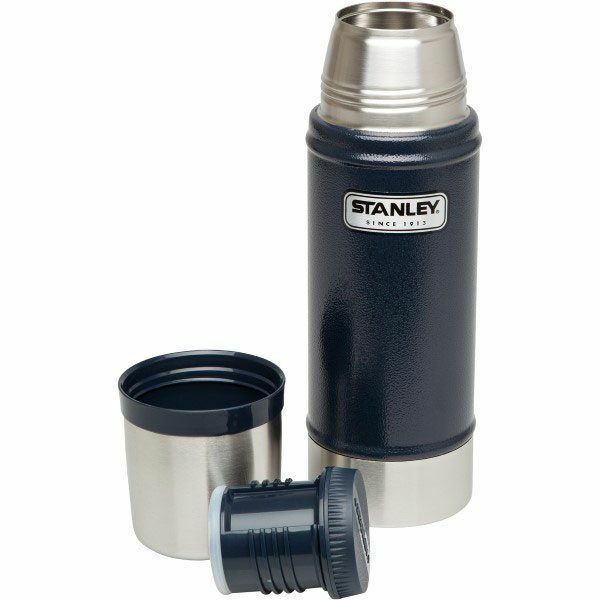 Stanley has been around since 1913, so if you love the vintage feel, these canteens are for you. The one you see here is the 16 oz in the Hammertone Navy color, but there's a 25 oz and larger sizes, plus a green one you'll probably recognize. The Hydro Flask looks amazing, thanks for sharing this list, really epic !